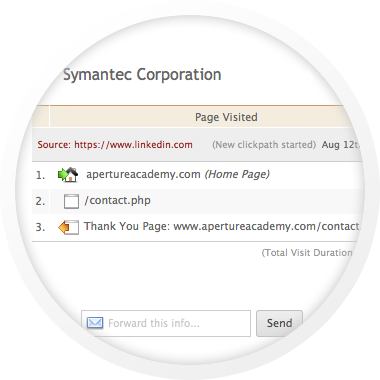 Imagine the sales opportunities if you could identify the anonymous companies visiting your website everyday. a sales person's secret weapon. Identify your website visitors, even if they don't initiate contact, providing you with the warmest sales leads. 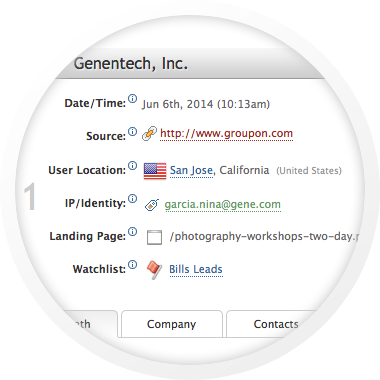 Discover which products or services your visitors are most interested in with instant email notifications. 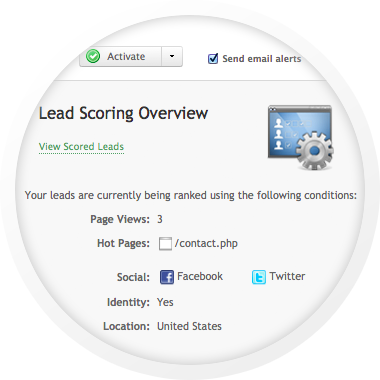 Qualify visitors based on interest and engagement with lead scoring and point-and-click CRM integration. LIVE Leads™ reveals the companies visiting your website by using proprietary identification technology. Increase the amount of highly qualified leads in your pipeline without additional headcount. Target your warmest prospects by defining specific criteria with the most advanced, yet simple to use, Lead Scoring system. KickFire LIVE Leads™ uses our "best in class" IP-to-company intelligence called TWIN Caching™. TWIN Caching™ (Translating the WAN IP Network) is a proprietary technology that goes beyond traditional IP association. With a unique ability to uncover last-mile connectivity ownership, TWIN Caching provides advanced IP-to-company resolution. TWIN Caching serves as the network and IP protocol equivalent of the way Google caches and searches an entire copy of web content. 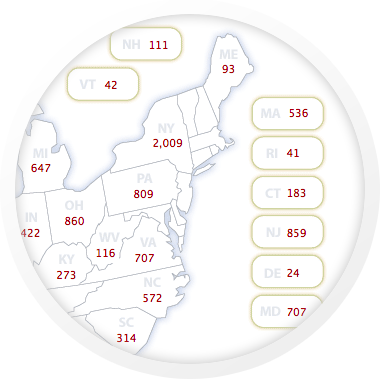 Using our proprietary algorithms, TWIN Caching systematically caches and analyzes over 340 undecillion IP addresses. TWIN Caching, combined with KickFire's firmographic data, provides business intelligence for a wide-range of applications, such as account-based marketing, content personalization, B2B ad-targeting and more. Pull Off Your Marketing Blindfold! 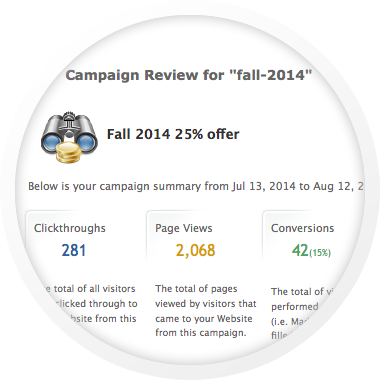 Upgrade your marketing strategy by tracking all online campaigns. 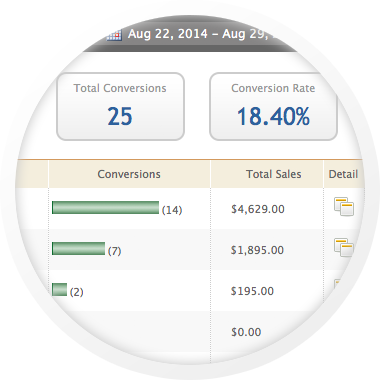 Measure effectiveness and enhance the performance of your marketing spend. Setup a unique code to track all of your online landing pages and marketing campaigns with 3 simple steps. Measure performance of pay-per-click, email campaigns, retargeting, mobile ads and more with AdCaM®. Receive trend reporting and instant KPIs (Key Performance Indicators) to optimize your marketing budget. Half of my marketing is working... I just don't know which half. AdCaM® provides actionable insights into what's working with your online marketing -- and more importantly -- what's NOT! See more than a clickthrough. Our Identities® technology integrates with your existing email service provider to present the full picture of your visitor's engagement -- from clickthrough to conversion. Evaluating and optimizing your marketing campaigns can help make sure you are targeting the right audience with the right message, at the right time. Learn where visitors are "falling out"
Now anyone can create beautiful forms for their website and landing pages. Easily build forms that integrate with LIVE Leads™, CRM and analytics -- no nerds necessary! Easiest way to build a form using templates and customizable features. Auto-generated code -- so easy! Don't let a submission go unnoticed. 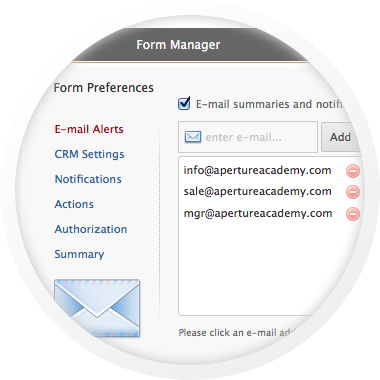 Receive email alerts and scheduled summaries for every completed form. 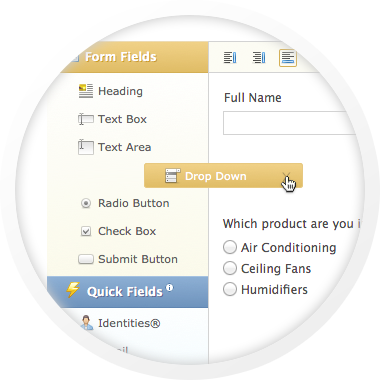 Designate a form field to automatically capture a visitor's identity and associate with all website activity. With our drag-and-drop interface, quickly build, edit and manage contact forms, event registrations, newsletter signups and more! Take full control to build and manage your website forms without having to wait on the IT department for technical assistance. Captured form information is stored in the cloud to provide aggregate reporting and easy access for all team members. Built on a powerful analytics engine, our real-time tracking and reporting will connect you to your website performance, visitor engagement and customer behavior. VisiStat® transforms complicated web analytic information into simple, presentation-ready reports. Proactively monitor the health of your website and make improvements to your online presence. 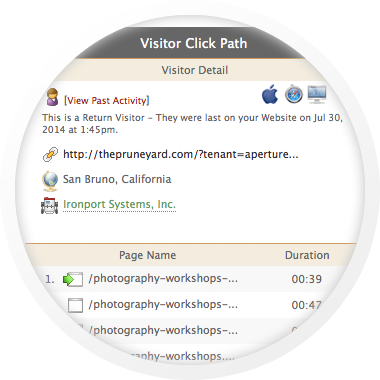 Learn how visitors navigate your site, track every action and understand what they are looking for, in real-time! 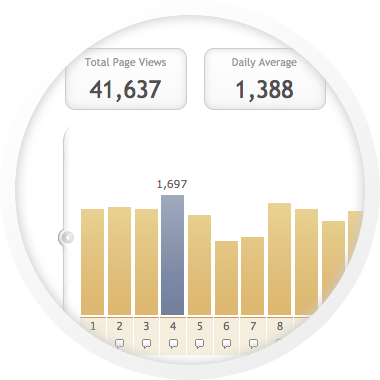 The most popular website metrics and reports enhanced by our detailed clickpath capabilities and easy-to-use platform. Our straightforward dashboards and reporting provide you with real-time details and access to multiple data sets. Take your sales to the next level!